This side door wheelchair ramp, as one might expect, is for use for entry/exit to the side of a van (rather than through the rear). The design makes its particularly suitable for wheelchairs or scooters with three or four wheels. 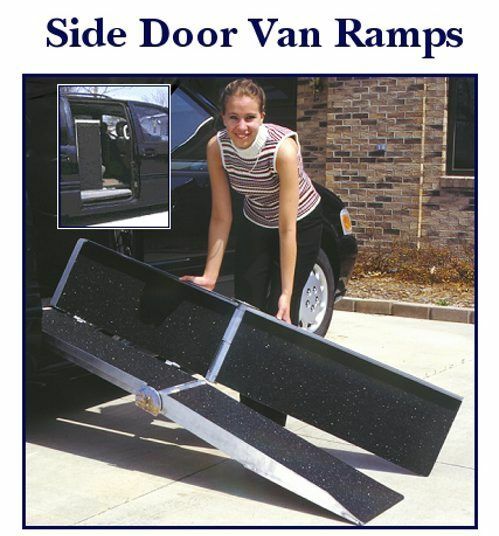 Like its rear door counterpart, this van ramp shares many features; among them its aluminium construction (making a good balance between light weight yet durability), and a high traction/anti-slip surface.